For one of our first "Valentine Dinner Extravaganza's" we made these spicy, flavorful little morsels and were not, at all, bummed to make them a second time. They're vinegary, pickly, not-to-spicy, refreshing and creamy. The original recipe suggests Peppadews, but our lack of grocer options have lead to our using Cherry Peppers. Step 1: Remove seeds from peppers. Step 2: Remove seeds from one cucumber and dice. 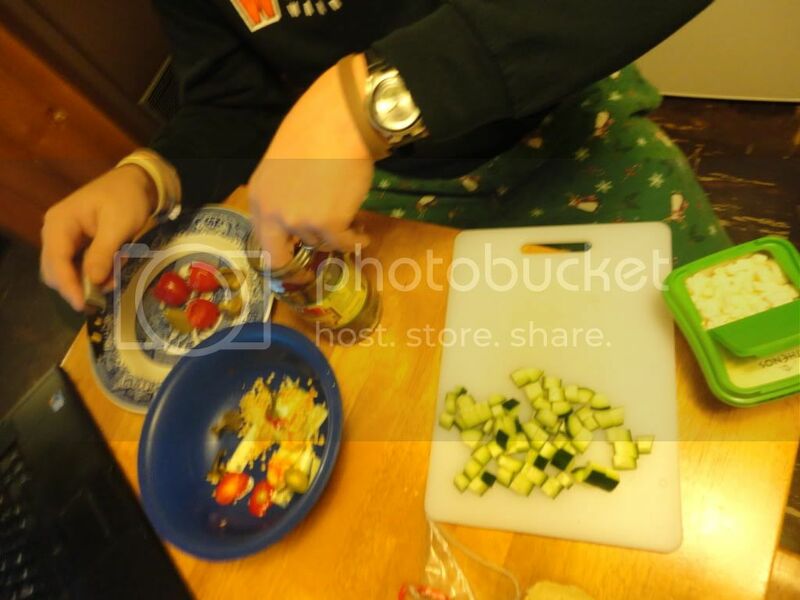 Step 3: Place 2-3 cucumber cubes in the shell of each pepper. 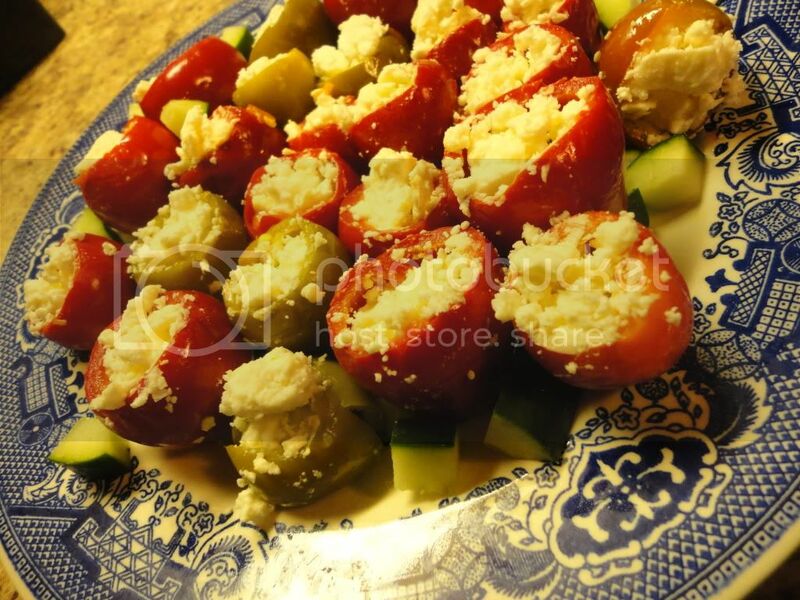 Step 4: Stuff remaining space of the pepper with Feta cheese. Step 5: Place in mouth, bite down and enjoy!